Dexter’s school encouraged us to start letting Dexter pick out his own clothes in the morning. They said it helps build confidence – and I completely agree. However, a small part of me doesn’t want him to be old enough to be in this phase, yet. 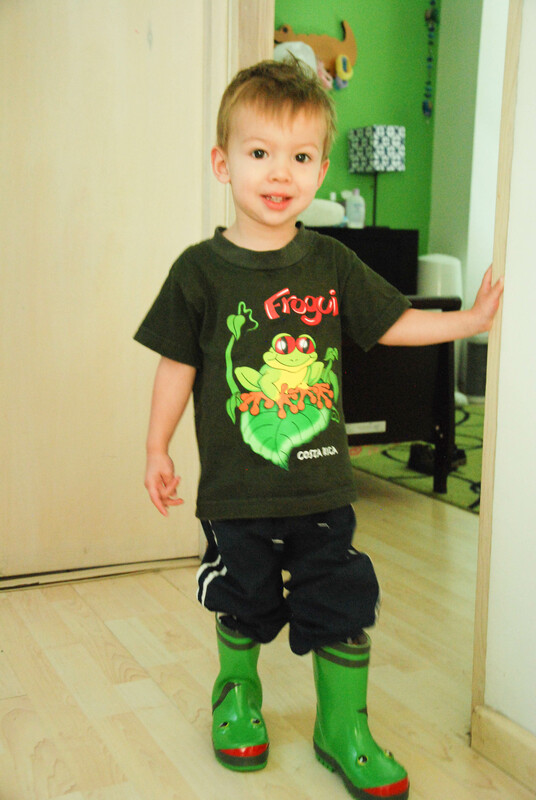 And let’s face it, a huge part of me doesn’t want to walk around with a kid in a ridiculous outfit – most passersby will not know we are in the help-your-kid-build-confidence-by-letting-him-pick-out-his-clothes phase. So I decided to let Dexter pick out his first outfit … on a Saturday. And he blew me away! 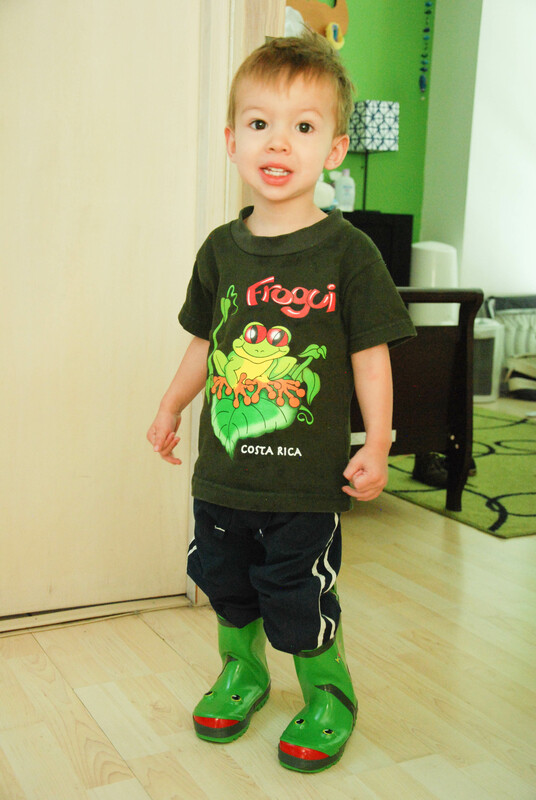 He chose his frog t-shirt and then went straight to his shoe shelf and grabbed his frog rain boots. HE MATCHED ON HIS FIRST TRY! I’m so proud, I may just let him pick out his clothes on a school day! I love the outfit. A great choice if I may say so my self. Aiden wore his kakhi pants and plaid short sleeve shirt. they are school clothes. He dresses himself. Let me do it, I am not a baby!